Let’s Get Lean, GNC Lean! 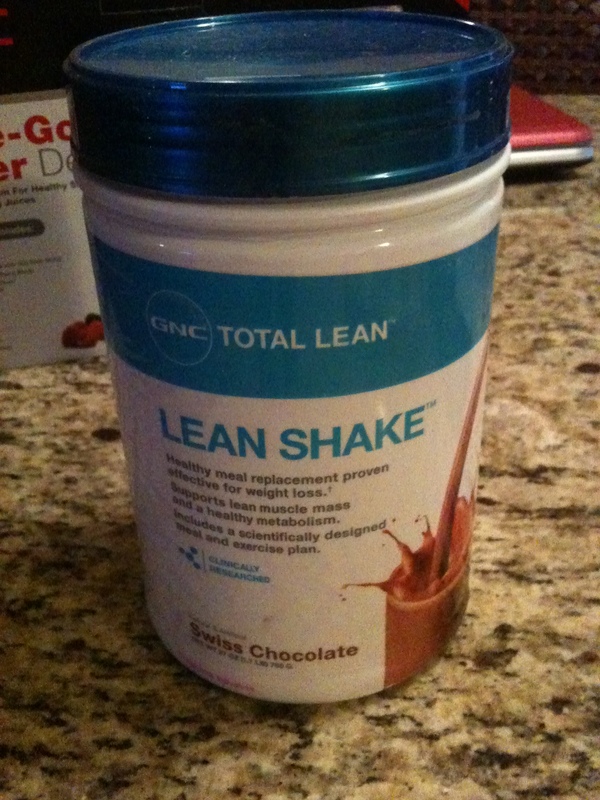 Recently, I received a set of GNC Lean Shake products to try out. Seeing that I got back into my workout routine this week, I decided it was the perfect time to dive into the product. The Lean Shake powder I have is Swiss Chocolate flavored. As a choc-o-holic I was very happy that this was the flavor I was sent. I also knew that the chocolate would be a great flavor to mix fruit in. I got out my new On-The-Go blender (see below) and started mixing. The container calls for two scoops of powder, mixed with 8oz of cold water. Total calories: 180, Total Protein: 8g, Total Fiber: 8g Total Carbs: 30g, Total Sugar: 5g. I decided to add a little oomph to mine, so I added some frozen strawberries to my water and powder and started blending. In only about 30 seconds of blending my breakfast was ready! 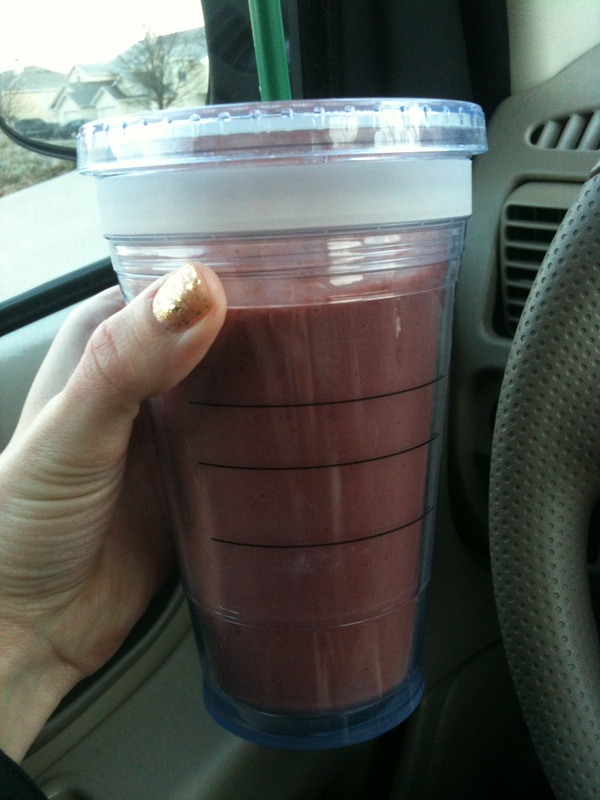 I poured it in a cup, and hit the road (I love that it was the perfect consistency to drink from a straw). So did it ward off my hunger? Yes! I made it until lunch time (about 4 hours later) until I felt like it was time to eat again. The powder was so yummy, and I was very excited to try to pre-made shake for breakfast today. 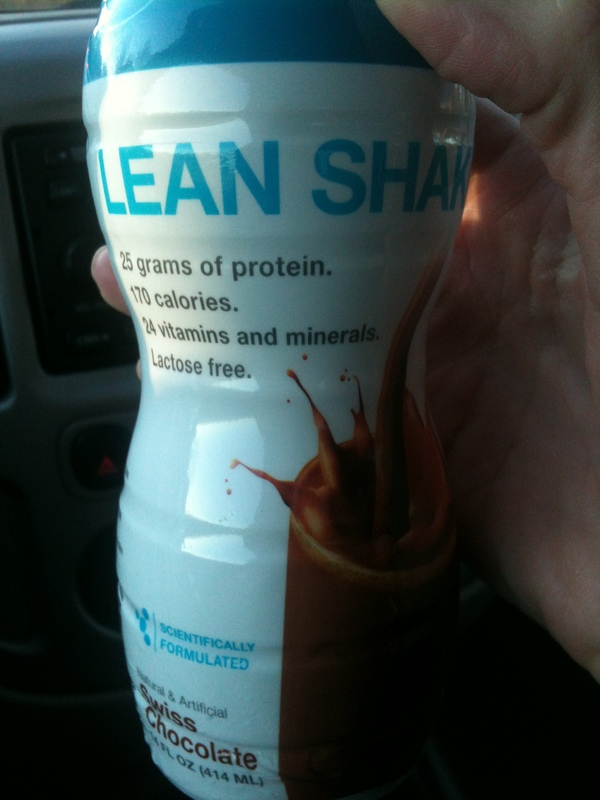 In my wonderful package from GNC, there was a 4-pack of pre-made Lean Shakes. The pre-made version of the Lean Shake was Lactose Free, and had 24 vitamins and minerals! Total Calories: 170, Total Protein: 25g, Total Fiber: 3 g Total Carbs:6g, Total Sugar: 2g. I grabbed the shake on my way out the door, and took a big drink. WOW – it was amazing. The pre-made version was a thicker consistency than the powder/water version would be, had I not added strawberries. I liked the thicker consistency though. I also noticed that the pre-made warded off my hunger a little bit longer than the powder version did. I credit that to the additional grams of protein in this version. 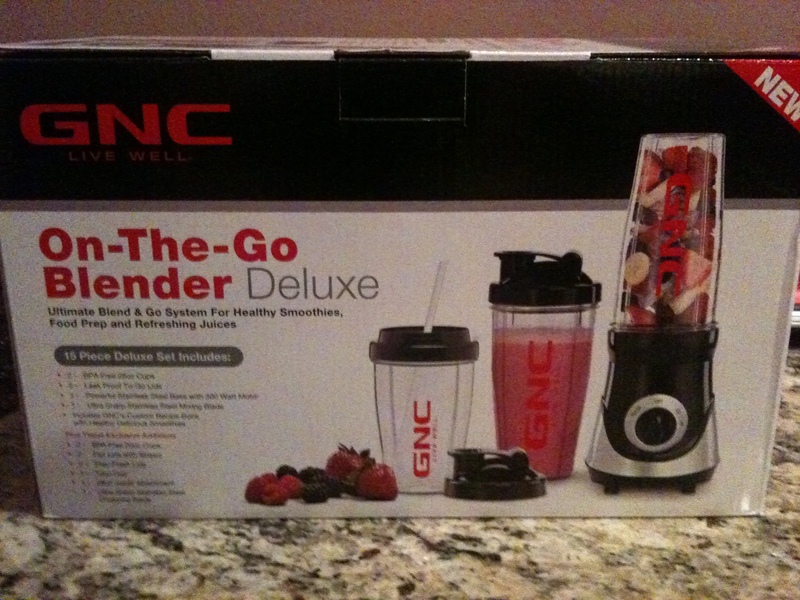 The item I received that I was most excited to try, was the GNC On-The-Go Blender Deluxe. My first go at using this blender was to mix the powder shake with the frozen strawberries. I dumped my three ingredients into the blender cup, flipped it over and started blending! As stated above, it only took about 30 seconds to completely blend the strawberries, powder and water together. I have used some blenders that took about 4 times that long, so I considered this a great success! Overall, I loved all the products I tried. And I am very happy that I have a month supply of the powder, 3 more pre-made shakes and my blender. The only thing I would wish to change would be to add more protein to the powder, and reduce the carbs. It does confuse my why the pre-made version has over double the protein, and far less carbs. I would also like to add more fiber to the pre-made version. It seems that the trade-off between the powder and pre-made are related to the protein/fiber/carb content. Seeing that the pre-made version is more expensive per serving than the powder is, I will probably not use that one as much (I’m on my New Year budget). I have always held a very good opinion of GNC products, and I will continue to do so. I look forward to *hopefully* try and review more of their products in the future! Hmmm, already receiving free products to sample, that is awesome!!! I am interested in all these. How was the bar? I’m not always a fan though of drinking my meals, but alternating it would be good! I didnt try a bar, just the shakes and blender. I don’t mind drinking meals at all if it is for breakfast. It was pretty tasty!! The GNC blender is awesome!! How did I survive all these years without one? It’s so much easier to make a single “to go” serving and not have to get out a big blender. The clean up?? Just drop your mixing cup in the dishwasher. Absolutely LOVE this appliance! Thanks for the suggestion. 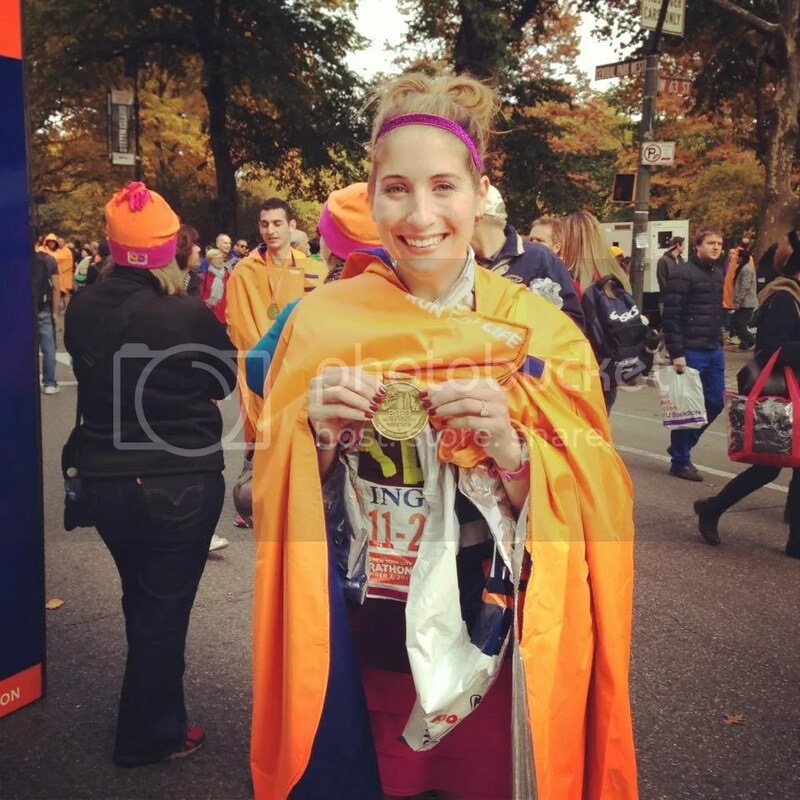 Awesomke blog! Is your theme custm made oor did you download iit from somewhere? comments are added- checkbox and from now on whenever a comment is added I recieve four emails with the exact same comment. I am somewhat sure I’ll learn lots of new stuff proper right here!